← What is Windows User Access Control (UAC)? Ever wonder what’s happening inside the computer while it starts up? Ever thought on what the computer is doing while the black and blue screen appears? Ever wonder why it takes so long for the computer to start? After hitting the power button, many complicated stuff happens, this is what we call the system boot process. A user can actually see behind the scenes of the process by pressing ESC button while the computer boots up. However, it will show many complicated things that a novice computer user would not even understand. The boot process actually consists of two forms. The cold boot, which starts from zero power supply to powering up the computer system; then the hard boot happens in which the operating system is triggered to function. A successful boot depends on what happens during the hard boot. During the boot process the system goes through thorough events such as loading the necessary files to the computer system and performing system checks. The system boot process involves the following stages. The first stage of the boot process is the Power-on Self Test. This is where the initial test starts. The power supply first executes a self-test to produce a signal sent to the processor that it is now clear and ready for the next process. This process is done to make sure that the volume and current levels of the system are correct. In this process, the memory is tested, as well as the other subsystems in the computer. The hardware is initially tested and checks for the occurrence of any peripheral devices. After the first stage is completed, the BIOS well then be triggered to execute series of operations by the microprocessor. If the POST stage is unsuccessful, the next stage will not be started. This means that hardware problems ware detected, and the error is noticed through series of beeps or an error message is written. This stage usually takes about 2-3 seconds of the boot process. The second stage of the boot process happens after POST is carried out. The BIOS or the Basic Input/Output System, located on a ROM (Read Only Memory) chip in the motherboard, is a firmware that consists of sets of instructions. During this stage, the system verifies the sequence of devices to load depending on the settings stored in the BIOS. The BIOS is now then programmed to do the boot routine where in the first sector of the first hard drive, the master boot record or MBR, is read and copied in the sector RAM. The BIOS then now enables and controls the communication between the hardware and the operating system. The BIOS screen is usually the first thing that the user would see after pressing the power button in the CPU and will only be seen during startup. The BIOS screen is a black screen with commands saying “hit DEL if you want to run setup”. The stage usually happens about 5-8 seconds of the startup process. In this stage, after the BIOS process is through, the control is now then given to the partition loader code or the BOOT Sector. The BOOT Sector is the first sector of the partition code which has the access to the partition table. The partition table contains the primary partition, extended partition and the active partition which is very important in determining and locating the file system and the operating system loader file. The operating system loader file or the NTLDR is the boot loader for the windows. NTLDR allows the addressing of memory, file system initiation, reading of the boot.ini, and boot menu loading. The boot.ini, located at the root directory, verifies the entries and location of the operating system. After the process, the NTLDR will now provide and pass all Windows registry and Boot.ini file information into the Ntoskrnl.exe. The loading stage takes up to 5-8 seconds. The fourth stage actually consist of the operating system configuration. The NTLDR will attempt to execute NTDETECT.com, BOOT.ini, and the BOOTSECT.dos to load the proper operating system installed in the computer. NTOSKRNL.exe, loaded by the NTLDR, starts to pack up the OS system information, registry information, and the entire hardware abstraction layer. The NTLDR then now reads and run the registry, selects the proper hardware profile and now authorize the device drivers in the system. The configuration stage takes about 3-5 seconds to finish. In the last stage of the boot process, NTOSKRNL.exe takes over the process and starts to execute the Winlogon.exe. The Winlog.exe activates the Local Security Administration or the LSASS.exe, which is the logon dialog interface, and prompts the user to select a user profile. The user is now then verified with necessary credentials or might ask for password before the Windows desktop is opened. The last stage actually takes about 3-5 seconds of the process. The boot process is very complex. But this process is the most important since this is where execution and initiation happens. Boot process usually takes about less than a minute to finish. However, as the computer system gets old and applications and programs are installed, the boot time becomes longer. This is the most common problem in the computer world. On the other hand, computer companies today offers help to address the problem. 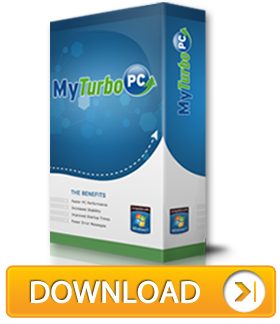 MyTurboPC, a software intended to fix computer problems, is created not just to help boot time becomes faster but also to enhance the performance of the computer system.